Visit Dumfries Self Storage so we can help you solve all your storage needs. Our well maintained facility is situation on Possum Point Road just off Jefferson Davis Highway/Route 1 near Highway 234. Dumfries Self Storage is proud to serve our military families and is located 2 miles north of the main gate at Quantico Marine Base. We are also convenient to Montclair, Southbridge, Triangle, Cherry Hill, Boswells Corner and Prince William Forest. Contact us today for rental, reservation, information and moving supply essentials. Come in today! 1/2 off 1st month and 1/2 off 2 months or 3 months! 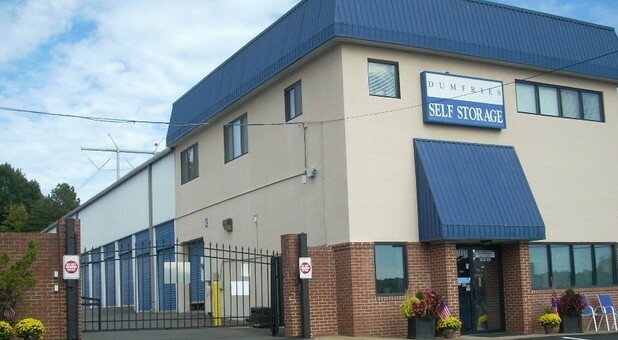 Dumfries Self Storage offers a variety of storage unit sizes to accommodate both large and small storage needs in the Dumfries community. With amenities like drive up access and climate control, you’re sure to find the kind of storage option that you’re looking for at our facility. 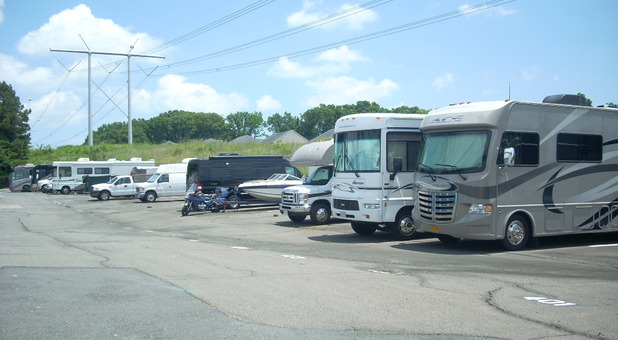 We have RV and boat parking options in addition to our fantastic units! Since we like to make everything more convenient for you, we offer online bill pay so you won’t have to make the trip to our facility each month just to pay your rent. And, with a resident manager who lives on the premises, your storage experience is sure to be both convenient and secure. MARCH 28, 2019 AT 11:00 A.M. Please call (703) 221-0234 to confirm the Auction is still scheduled. Self Storage auctions are common within the self storage industry and are open to the public. Dumfries Self Storage has storage auctions throughout the year that are held at our facility. Below are some guidelines to help you when attending a self storage auction. You will need one form of current federal or state issued identification with a photograph and signature on it, such as your driver's license, a phone number where we can reach you if needed, and an emergency contact. You will be required to pay the first month's rent and a one time $20.00 non-refundable Administration Fee. We have a Resident Manager team that resides on the premises for added security. We offer computerized gate access and you will set up a unique gate access code at the time of rental to enter the gates. We offer a video surveillance system, security fencing, and lighting. You have access to your unit seven days a week, 365 days a year from 6:00 a.m. to 9:00 p.m. Contact the manager at (703) 221-0234 for assistance.